Why Windows Phone Instead of Android? 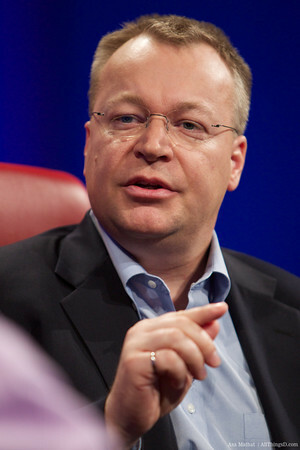 Nokia CEO Stephen Elop Explains. One of Stephen Elop’s biggest moves after being tapped as CEO of Nokia was to dump its Symbian mobile operating system for Microsoft’s Windows Phone OS. Why didn’t he opt for Android, which has far greater critical mass at market? With Windows Phone, Elop said, Nokia has the flexibility to differentiate over time, something that Android OEM’s don’t have. It also has exposure, scale and, potentially, a robust ecosystem. “This is no longer a battle of devices, it is a war of ecosystems,” he said. You usually look like an unmade bed.